3) the desire to experiment freely. 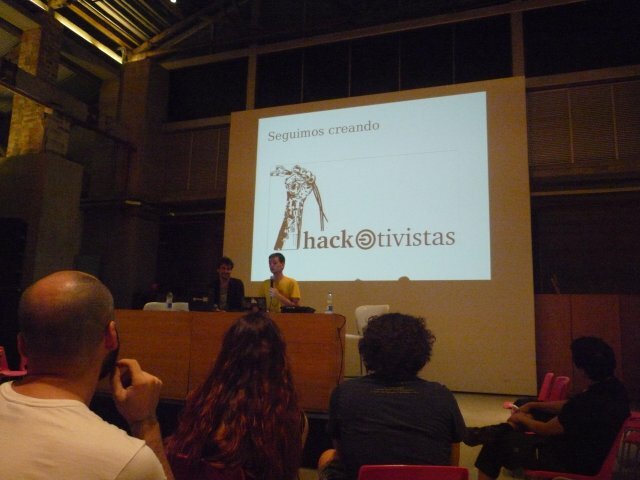 Hactivistas mainly function with a mailinglist, anyone can do a proposal and organise it. The methodology is simple: ‘quien la pone se la come’ or ‘the one who proposes something takes on the responsability to realise it’. Concretely, this means they create free software tools that allow any citizen to participate in decision making on large scales, like f.ex. the X-mailer, a tool they created to oppose the Law Sinde, that allows to close down pages that infringe copyright. The program Xmailer allows each citizen to send out automatically an email expressing their concerns to all representatives of the parliament at once, either by filling out the form online. Xmailer works around the mechanisms of ‘spam detection’ and cause a torrent of mails in the mailboxes of the politicians, their secretaries etc. You can read the results of their action here (in Spanish). http://damoslacara.net is another tool developed after receiving a complaint by the PSOE, Exgae and other institutions that the anonymous mouvement only represented a very few activist people. Damoslacara offers an easy – a webcam + only one click – to visualize the amount of people who resist to accept the law Sinde. * starting to distinguish producers of culture and producers of commercial entertainment products. 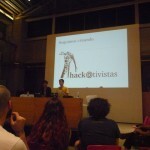 You are currently reading #Labsurlab: Hacktivistas & the law Lleras at Paramoulipist.